Nothing excites baseball fans like a young ace. When one takes the mound, there is a palpable buzz in the stadium. There’s always the chance of something special. 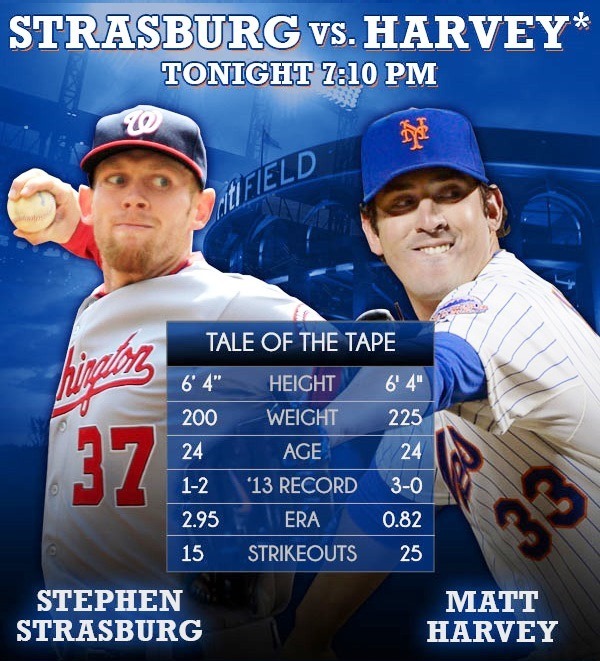 Tonight at Citi Field, two of the best young pitchers in baseball, Matt Harvey and Stephen Strasburg, square off. There will likely be a lot of strikeouts and few runs, the kind of game purists love. The sample size is small, but this figures to be the first of many National League East battles between these two. 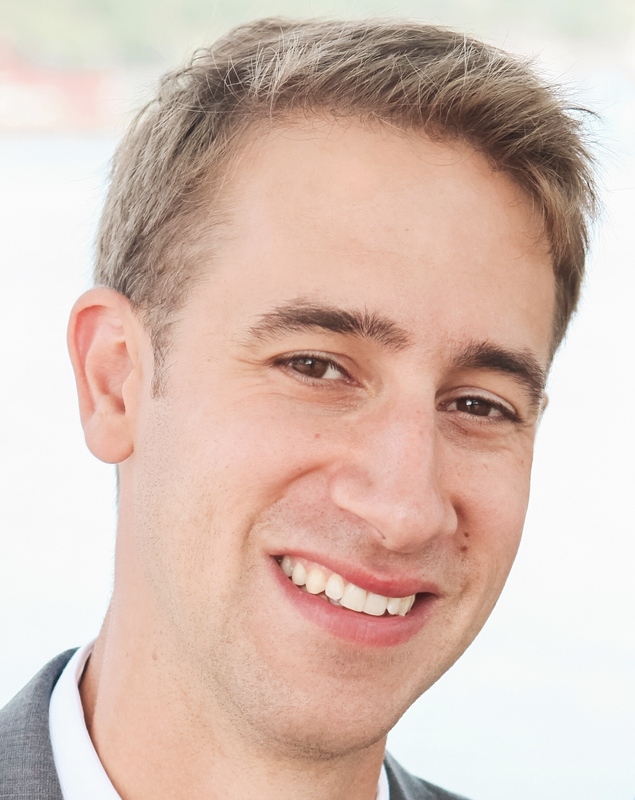 Harvey, of the New York Mets, was taken with the seventh pick in the 2010 draft and has made just 13 career starts, his first coming in July last season. He will turn 25 next March. Strasburg was taken by the Washington Nationals with the first pick in 2009, debuted the following year, and has made 48 starts. He turns 25 in July. As the image above notes, they both have the size—6’4″, 220-225 pounds—of a dominant starting pitcher. They’ve also got the stuff. Their stats through three starts this season are shown in the image above; not included is that Harvey has given up just six hits over his 22 innings. They throw their fastballs at an average of about 95 miles per hour, making them two of the hardest throwers in the game. The only hurdle for these guys is the disabled list. Strasburg had Tommy John surgery in 2010 and missed nearly all of the 2011 season. Part of this could have to do with Strasburg’s pitching delivery, but the bigger concern is that pitchers get hurt all the time. Hopefully these two can stay healthy, because despite the minimal data, one can say with confidence that they are future stars. As you can see, Harvey has the best ERA and the best WHIP (walks and hits per inning pitched) of the bunch, and his strikeout to walk ratio is second only to Strasburg. Unfortunately for Mets fans, the dominance Harvey has displayed so far this season will not last. He is allowing a MLB-best .116 batting average on balls in play (BABIP), which isn’t sustainable. Last year, the major league leader in this category allowed .241; the best since 2002, when this stat was introduced, is .223. In other words, Harvey has gotten lucky when opponents have put the ball in play. But much of it Harvey’s success is his own doing: he is generating a ton of swings-and-misses this season; he’s only walked six, and has given up just two earned runs and two extra-base hits. If you believe all a pitcher controls is strikeouts, walks, and home runs, you still have to love Harvey. Strasburg is just as electric. Tonight should be fun. Here’s to hoping they duel for years to come.